Corporations are typically governed by a board of directors, which makes decisions on behalf of the corporation, including the decision to terminate the C corp’s existence. The board must authorize a dissolution as per the corporation's bylaws, which are the rules a corporation adopts to regulate its own affairs, as well as the state's dissolution statute. For example, a C corp's bylaws or state dissolution statute may require a majority vote of the board or shareholders to terminate a C corp. Though state paperwork requirements can vary, corporations typically must file articles of dissolution, or a similar document, with their state’s business registration authority, often the secretary of state, which is the same registration authority where the corporation filed its articles of incorporation. If the corporation operates in more than one state, it might have to file notices in each state where it operates. If a C corp is in possession of business licenses, it might also have to file paperwork to terminate those as well. Before a corporation can cease to exist, it must wind up its affairs, meaning it must pay all outstanding obligations and debts, including loans to the corporation by shareholders. The corporation should also set aside money for any claims that might arise after the corporation dissolves. The C corp must also take steps to close bank accounts and terminate leases or contracts. Federal and state taxes continue to accrue until the date of dissolution, so the corporation must file final tax forms, including those for payroll and sales taxes as well as income tax returns, and indicate the corporation is terminating. State law may require a corporation to provide written notice of its dissolution to known creditors, allowing them an opportunity to present their claims against corporate assets by a specific date. Some states might allow a corporation to publish a public notice to unknown creditors, advising them to file their claims within a specific time frame or forfeit the right to make a claim. If a C corp has any remaining assets after it pays its creditors and state approves its dissolution, it must distribute them as set forth in the corporation’s bylaws or by state law. Typically, a corporation must distribute remaining assets to its shareholders in proportion to the number of shares each shareholder owns. The C corp must also file the appropriate tax paperwork in which it reports the distributions made to shareholders. If I Have a C Corporation, Can I Operate in Multiple States? All corporations are formed under state law and are distinct legal entities, separate from their owners — the shareholders. A corporation's legal residence, or domicile, is the state where it is formed; it is referred to as a "domestic corporation" of that state. Any corporation can transact business in other states — referred to as "foreign" states — as long as the corporation is in good standing with its domicile state and complies with the foreign state's laws. Nonprofits, like other organizations, don't last forever. 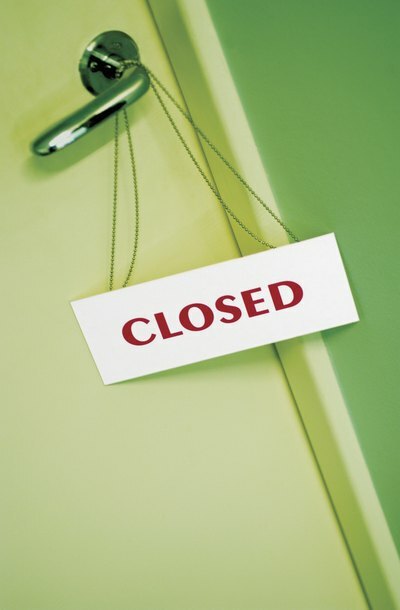 Officers of a nonprofit may want to close because the nonprofit has fulfilled its obligations or because it is insolvent. Regardless of the reason, an orderly dissolution is usually in the organization's best interests. Your nonprofit's founding documents might provide a dissolution method, or you can create your own dissolution plan.